The tragedy of reading the work of any great author for the first time is that once you have experienced it, that first joy can never come again. You can never again feel that first flush of... recognition, I guess you could say, at realizing that you are in the presence of a mind so sharp that it cuts right through the fog to something Real about the world, and yourself. 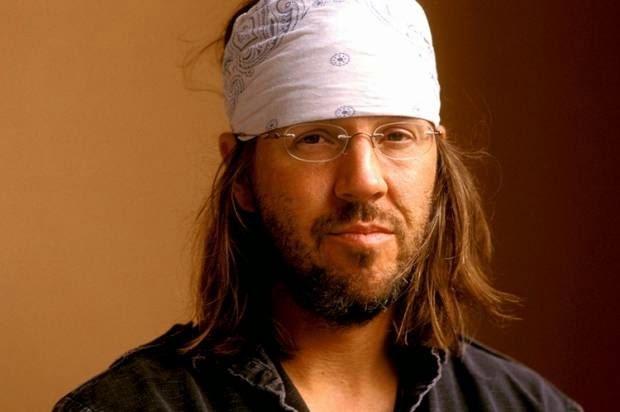 Never is this more true than with the work of David Foster Wallace, and never more tragic. A man who has been called (and, I think, justifiably) the greatest mind of his generation, who nonetheless had a mind that was fundamentally bent away from the health that would have kept him with us for longer. That's not to say that he was our wisest, or that he was even right about everything. Just that he was an awe-inspiring writer who expanded forever the limits of what it is possible to accomplish with words. Despite the tragedy of his early passing, I am grateful for what he did leave behind. Take, for example, this short excerpt from an essay first published in The Review of Contemporary Fiction in 1988, when he was just twenty-six years old. "Think... about the way prolonged exposure to broadcast drama makes each one of us at once more conscious and less reflective. A culture more and more about seeing eventually perverts the relation of seer and seen. We watch various actors who play various characters involved in various relations and events. Seldom do we think about the fact that the single deep feature the characters share, with each other and with the actors who portray them, is that they are watched. The behavior of the actors, and—in a complicated way, through the drama they're inside—even the characters, is directed always at an audience for whom they behave... indeed, in virtue of whom they exist as actor or character in the first place, behind the screen's glass. We, the audience, receive unconscious reinforcement of the thesis that the most significant feature of persons is watchableness, and that contemporary human worth is not just isomorphic with but rooted in the phenomenon of watching. Precious distinctions between truly being and merely appearing get obfuscated." - David Foster Wallace, from the essay "Fictional Futures and the Conspicuously Young." In this quote, Wallace has not only gone straight to the heart of what a steady diet of filmed entertainment can do to us, he's also provided us with some insight into the preconditions that allowed for a seamless transition into the dystopian reality in which we now live—a world in which a great swath of the population now experiences the human conditions not as a string of sensations, consciously interacted with, but as a function of the observational processes of the Other... in this case an audience of internet peers. I am not here to be Me, nor am I even here to be Me in the light of the observation of the perceived Divine. Rather, I am here to be validated in my existence by the viewing experience of other humans. I wonder if it is even possible, anymore, for the vast majority of us to conceive of a life in which this is not the case. I am grateful, though, for the insightful diagnosis Wallace provided. Perhaps we'll take it and grow toward the kind of mental health that tragically eluded him.